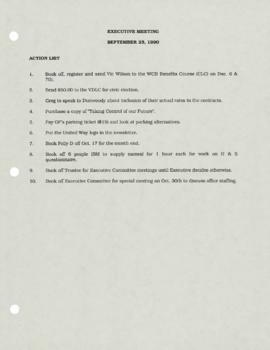 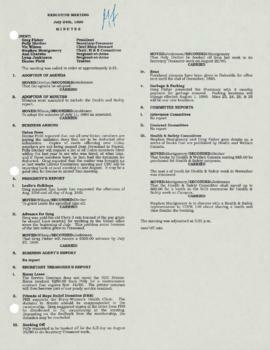 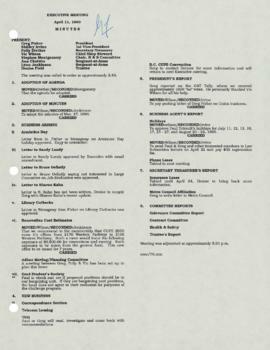 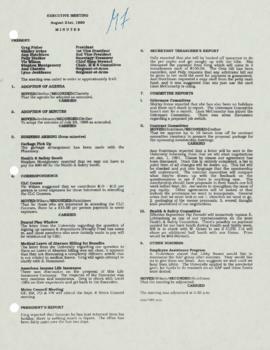 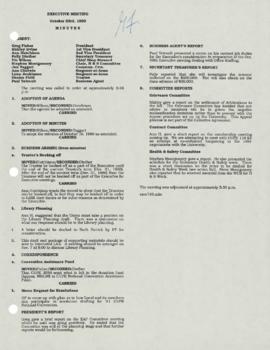 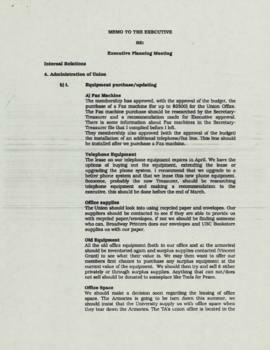 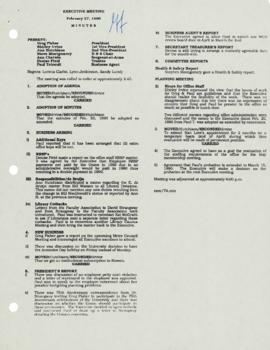 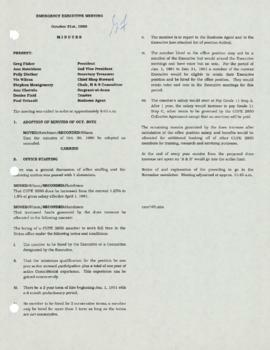 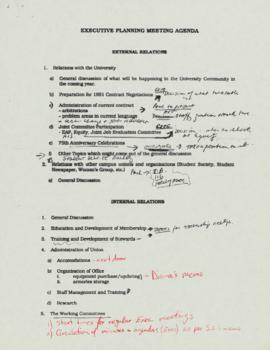 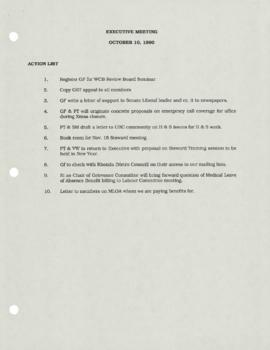 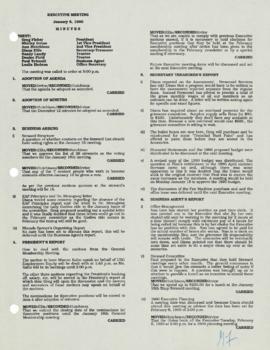 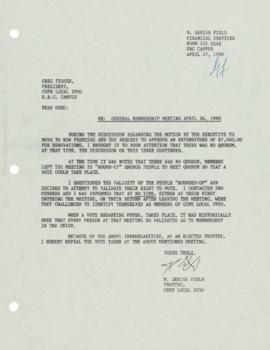 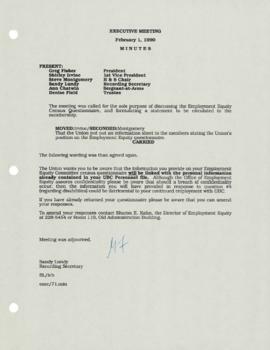 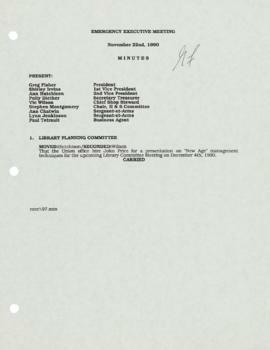 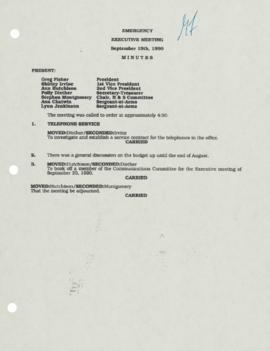 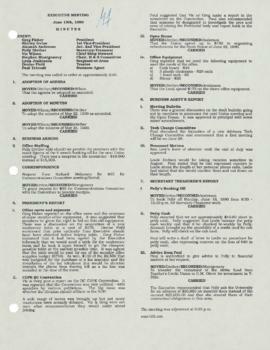 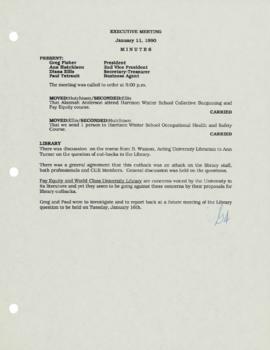 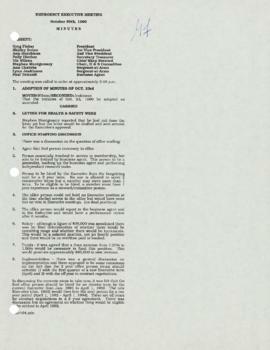 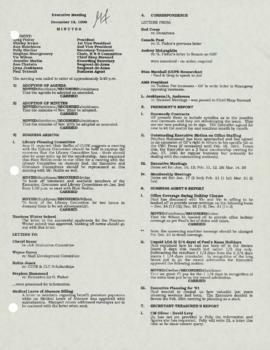 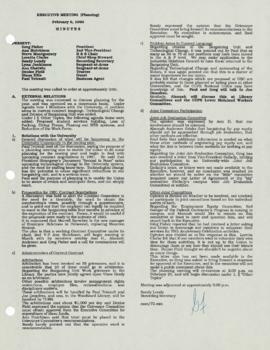 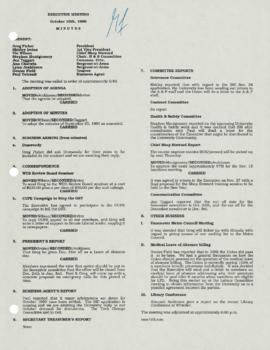 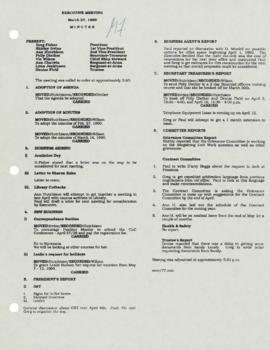 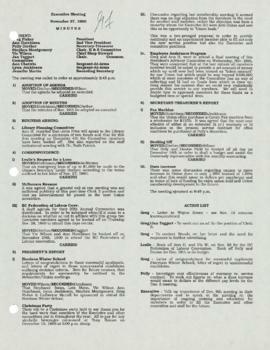 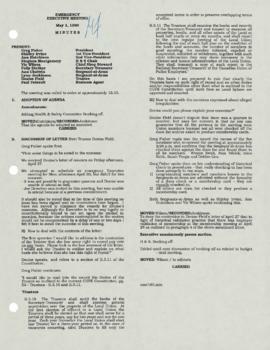 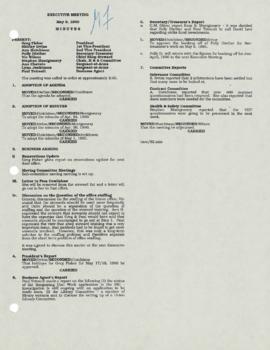 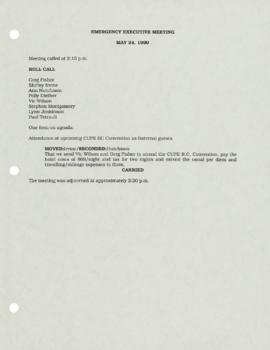 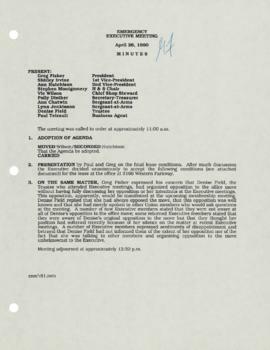 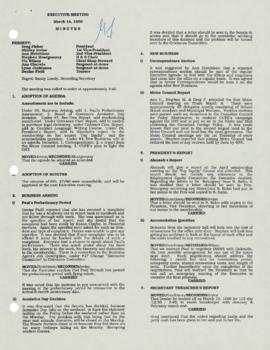 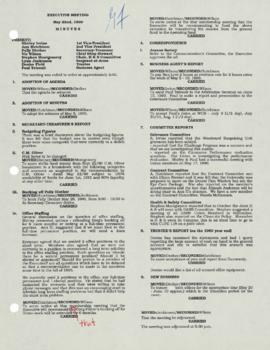 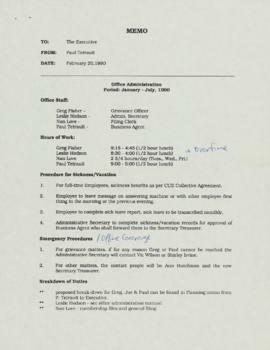 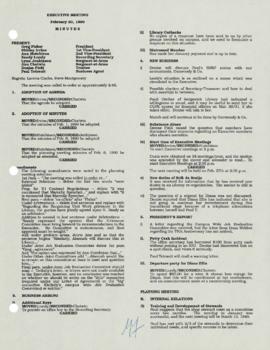 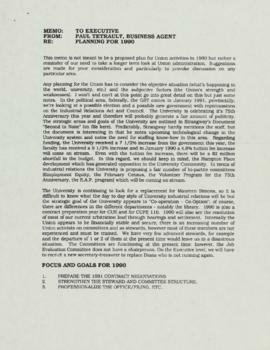 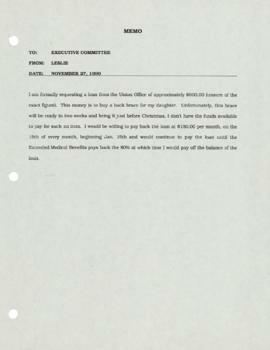 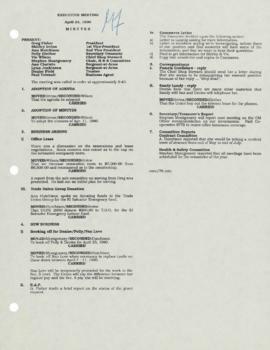 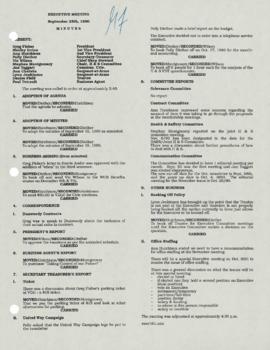 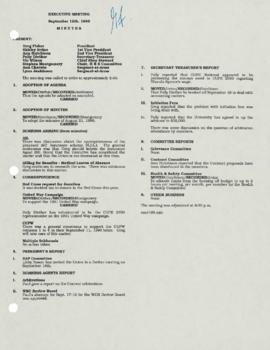 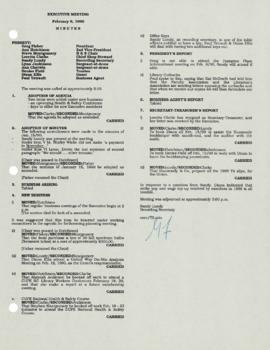 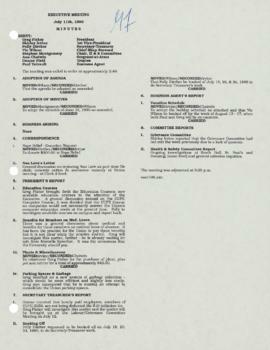 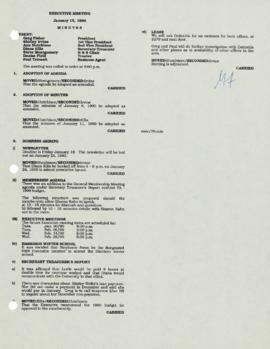 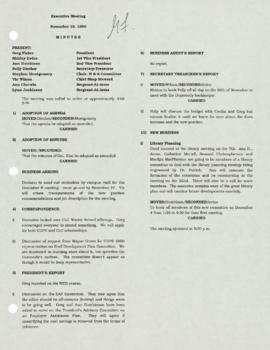 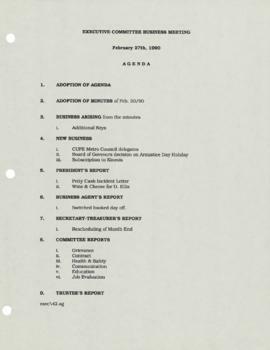 File contains meeting minutes and other records dated December 12, 1990 to February 20, 1990. 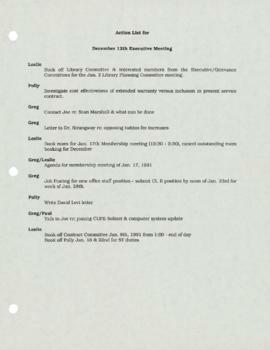 Topics discussed include the library planning committee, correspondence, contracts, office staffing and equipment, budgets, grievances, policies, education, benefits, CUPE B.C. 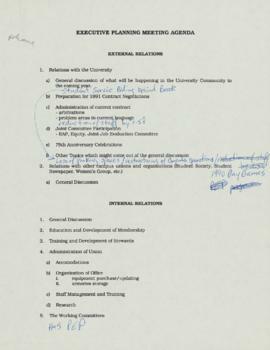 Convention, leasing an office, library cutbacks, relations with the university and other unions, and bylaws. 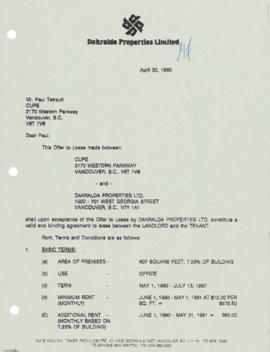 File also contains notes, agendas, action lists, correspondence, a lease between CUPE and Dakralda Properties Ltd. for office space, and memos.